So I teamed up with my brother this morning and we hunted several areas. My brother picked up a Merc and a Marine Corps Officers hat pin from the 1950’s. The hat pin was silver and gold filled and looks really cool. (That’s coming from an old Army grunt! 🙂 I started getting that sickening feeling of being skunked again! So we headed back to the area where I found the Barbers and Indian. There had to be more there. Sure enough, I hit a 1907D Barber dime and its the best looking Barber dime I’ve found so far. I found it in some really dense woods that runs on the fringes of that area. It made my weekend! I was wondering when I was going to hit my first Barber coin this year. 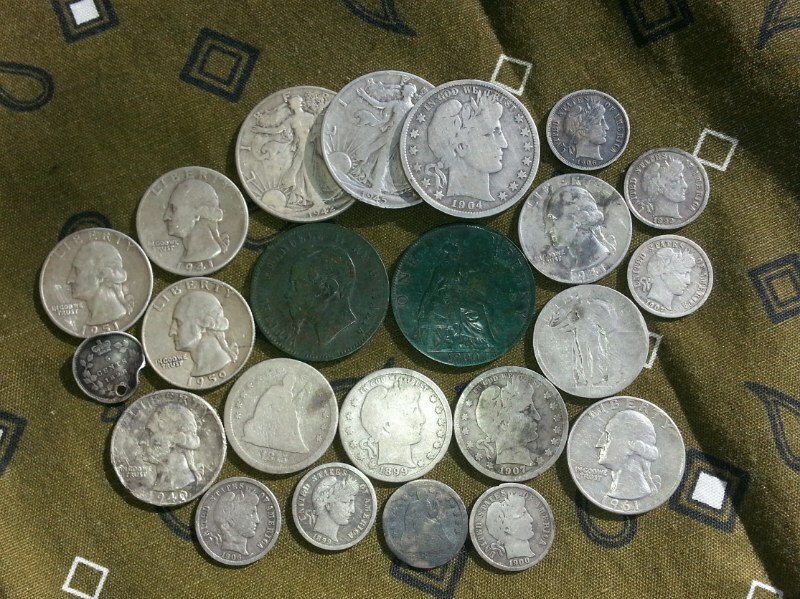 My brother and a friend had already scored Barber dimes. Not only did I score a Barber dime, I scored two! They were about 4′ apart. 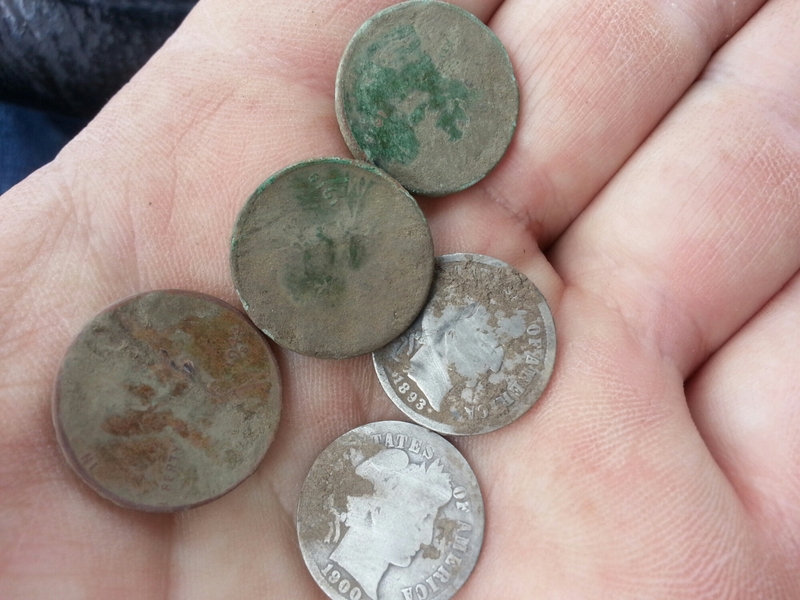 I also scored another silver Washington quarter and several Mercury dimes. I seem to be back to only scoring one silver coin each time I go out. I know, at least I’m finding silver. Still I would like to find several at time. I did score two Barbers in one day, but the next day I didn’t hit any. So it averaged out. I guess I’m lucky that I score at least one silver each time I go out. I remember the days when I went for weeks without hitting silver. I’m back to hitting the open public areas of the park. The woods are filling up with weeds making swinging the coil close to the ground almost impossible. So I’m crawling through the trash looking for that sweet sound. It’s still there, but a lot harder to find.